SIM Only deal - 20GB for £20 a month - Value Deal. 15% OFF Pay monthly Bills Vodafone Advantage Scheme. Enjoy extra discount if your employer belongs to the Advantage Scheme. 10% OFF for Students on Monthly Pay Plans. Sign up today and get 10% Student Discount on Vodafone. 15% Off Additional plans for Existing Customers at Vodafone. Already a customer? Enjoy extra discount on your second phone. 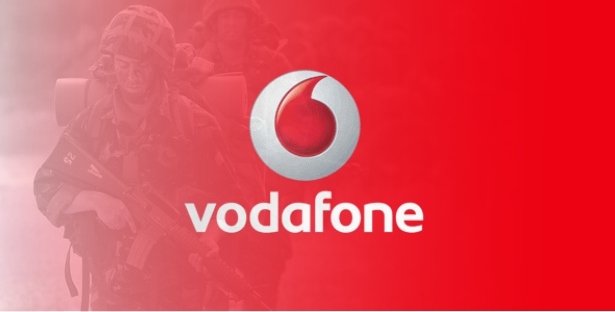 Forces Discount Offers have teamed up with Vodafone to bring you this amazing deal where British Military Forces and MOD Employees can get 15% Vodafone Discount off their SIMO line rental and 15% Discount on new Pay Monthly Contracts – plus you can get discount for up to five family and friends! British Forces and their Families deserve the best deals – and this is one of them! So make sure you buy your phone with Vodafone today and claim your discount. Pick up the very latest offers and deals on Vodafone with their daily deals! Check them out - daily updated! This is one of the best Mobile Phone offers for Serving MOD and Forces Personnel. All you need to do is buy the Phone online and then fill in the form (see link above) to get your 30% discount! Awesome! iPhone 7 Deal >> From Only £38 a month and £9 upfront cost.